The great classic work, A Course in Miracles, is devoted to teachings about who we are, our relationships to God and with each other, and the actuall mental nature of our bodies and the world. There are three constituent parts to the Course: The Text, a Workbook for Students, and the Manual for Teachers. The Text lays out the theoretical foundation for the metaphysical system of the Course. The Workbook contains a series of 365 Lessons to be practiced daily for the purpose of retraining the mind and healing our perception. Finally, the Manual contains information for and about advanced teachers of God. 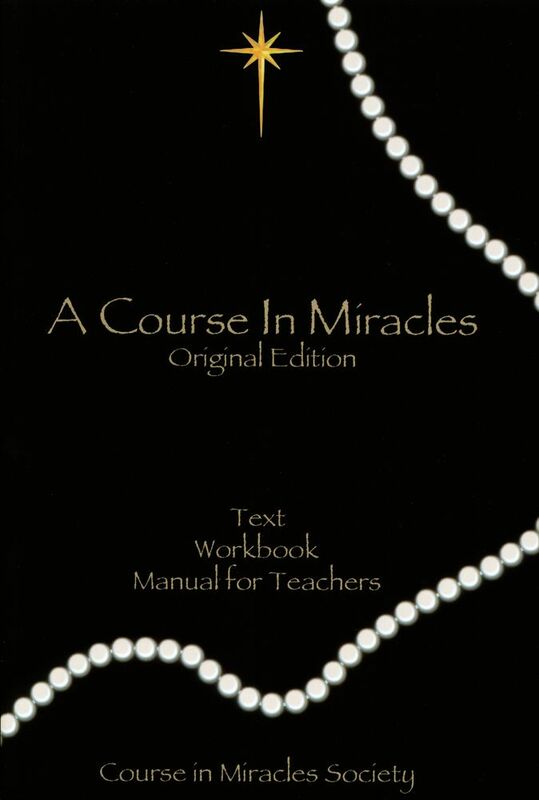 The Course is also about miracles, which students understand to be, in part, a shift in perception to healed vision. But miracles are more than a shift in perception, because the shift has consequences in the world as we see it. The Course is a self study educational program for retraining the mind that is spiritual, rather than religious, in its perspective. Although the Course uses Christian terminology, it expresses a universal experience, and its underlying ontology is reminiscent of ancient refrains, echoing the world's most hallowed traditions.